Mrs Jennifer Yeo is a lawyer not a healthcare professional, but she has contributed greatly to the advancement of paediatric oncology in Singapore and Asia. 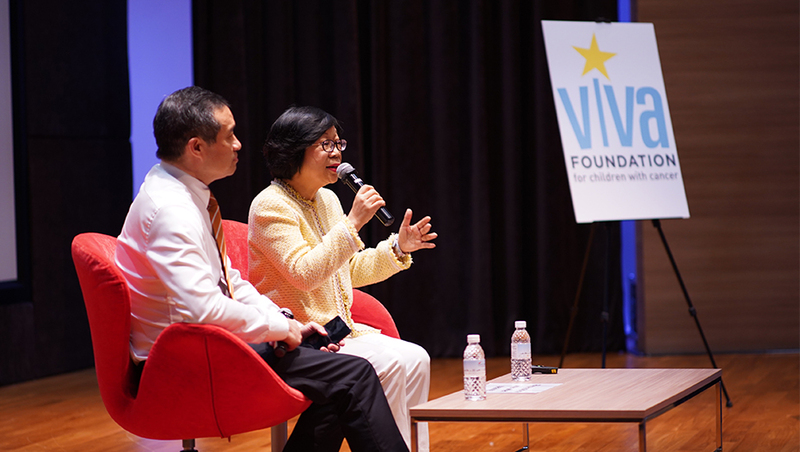 The founder and chair of VIVA Foundation for Children with Cancer (VIVA) spoke during SingHealth Giving Day 2018 about her family’s battles with cancer and her drive to improve cancer care for children in Asia. Mrs Jennifer Yeo knows only too well the difference medical research can make to a child’s life. Her youngest son, Freddy, was diagnosed with Acute Lymphoblastic Leukaemia when he was three years old. “I wept when I heard Freddy’s diagnosis. 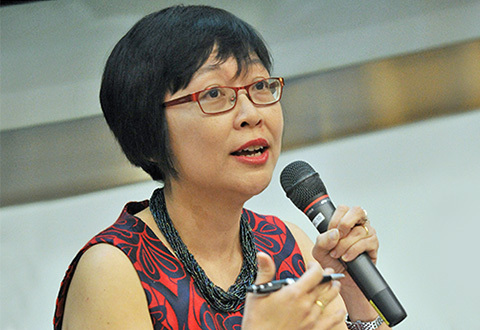 It felt like my world was collapsing around me,” Mrs Yeo shared to SingHealth staff at the Academic Hour Distinguished Leaders Series on 20 November 2018. The young boy spent years undergoing treatment, but after two relapses, the doctors in Singapore had run out of options. The family’s last hope was St Jude Children’s Research Hospital, Memphis, USA. Its focus on medical research has enabled the hospital to become a world leader in treating childhood cancers and other life-threatening diseases. St Jude looks after some of the sickest children from the USA and the world. 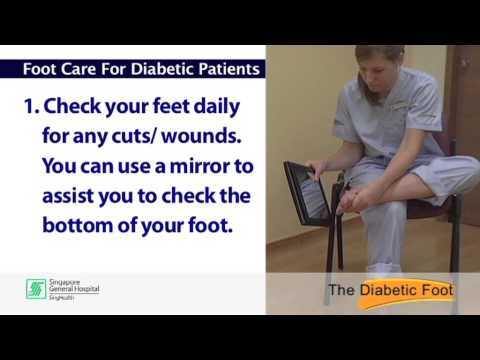 It is funded by public donations which cover the cost of patients’ medical bills, transport and support for their family members. When Freddy arrived at the hospital, the doctors gave him a less than 10 per cent chance of survival. His family were unsuitable bone marrow donors but the hospital found a match with a donor in Taiwan. Seven months after his bone marrow transplant, Freddy returned to Singapore. 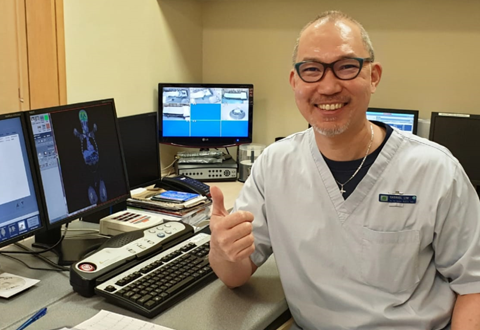 He still had a small number of leukaemia cells in his body that could cause a relapse at any time, but his doctors were confident the treatment would be a success. As a thanksgiving to her son’s recovery, Mrs Yeo founded VIVA Foundation for Children with Cancer in February 2006. During Freddy’s treatment at St Jude, she witnessed the value of translational research - taking laboratory discoveries and turning them into new treatments for patients – and Mrs Yeo made this central to VIVA’s mission. The hospital is a founding partner of VIVA, supporting its aim to bring St Jude’s high cure rate to Singapore and the region by sharing their expertise, for example, at the annual St Jude-VIVA Forum in Paediatric Oncology. 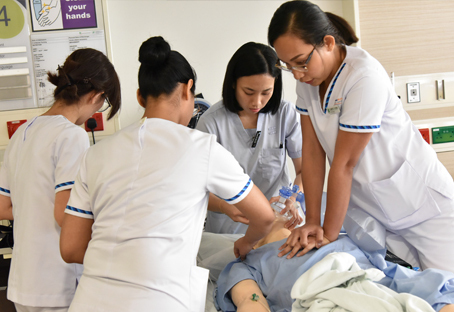 Over the past 12 years, VIVA has expanded beyond research and training to include support for young cancer patients, such as a school at its VIVA-CCF Hub in Novena Specialist Centre. Mrs Yeo continued her work when her family moved to China, founding the VIVA China Children’s Cancer Foundation Ltd in October 2014 to further advance care in Asia. Despite the progress VIVA has made, Mrs Yeo is not ready to rest on her laurels. “I’m fanatic about VIVA and what needs to be done. At one point I was so obsessed with raising funds to support the initiatives we want to start that my husband would advise me not to hog the conversation if we were going out for dinner with friends,” laughed Mrs Yeo. So what keeps her passion alive after so many years? Mrs Yeo’s talk was held in conjunction with SingHealth Giving Day 2018. 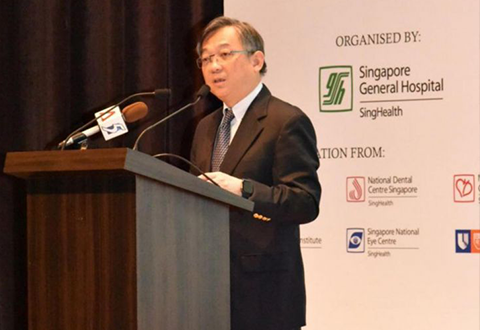 The annual event aims to strengthen the culture of giving across SingHealth institutions, to create awareness on the giving opportunities and the impact of giving. 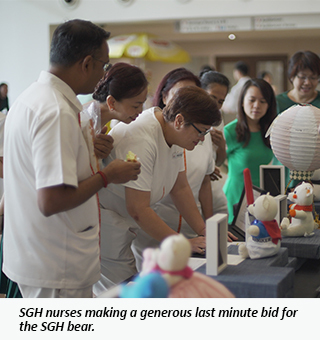 This year’s event included two initiatives to raise funds for medical research, education and patients in need: a bazaar which raised nearly $5,000 and ‘Bid-A-Bear’, where 12 bears which were styled by SingHealth leaders were auctioned off for more than $40,000.